Aussie-based Zimbabwean reggae/dancehall musicians Desire Sibanda aka Dizzy Dee and Farai Makombe (Slicker 1) are billed to perform at Jamaican Bennie Man concerts scheduled for the Trak Lounge in Melbourne from March 16 to 25. The duo are part of the Grammy Award winner’s maiden tour in Australia, performing on two shows in Sydney and Melbourne. Bennie Man will also hold shows at Perth, Brisbane, Melbourne and Sydney. The duo will only curtain raise for the two shows because of other commitments. On March 18, Dizzy Dee and Slicker 1 will be shooting a video with Sudanese dancehall artiste Amac Don. In an interview, Dizzy Dee said he was excited about the developments. He promised to raise the country’s flag high during the shows. “This is a great opportunity and honour for us. We are going to perform Slicker’s hit song ‘Paita Party’ and some other tracks. “I will perform one of my hit songs, ‘Never See Fading’ among others. 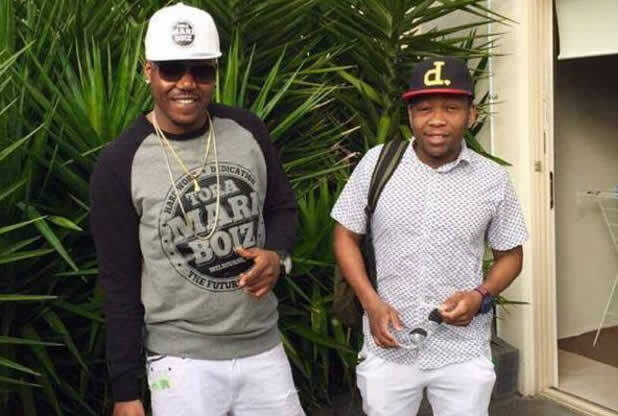 Dizzy Dee said they are also looking at prospects of recording a video or collabo with the Jamaican dancehall star. Dizzy Dee said is not new to work with international artistes as he has shared the stage with Konshens, StoneBwoy, Etana and even Vybz Kartel. Meanwhile, Slicker 1 has opened for artistes like Bracket, Brick and Lace, Sean Paul, StoneBwoy, Inyaya, Winky D and Judgement Yard among others. Last year, he dropped a mixtape dubbed, “Culture Shocked”, which made headlines in Australia. His single “Paita Party” was a hit on MTV, Trace and all music channels in Australia.